It’s a common question. Oftentimes, it’s a struggle to determine just where to put the TV. 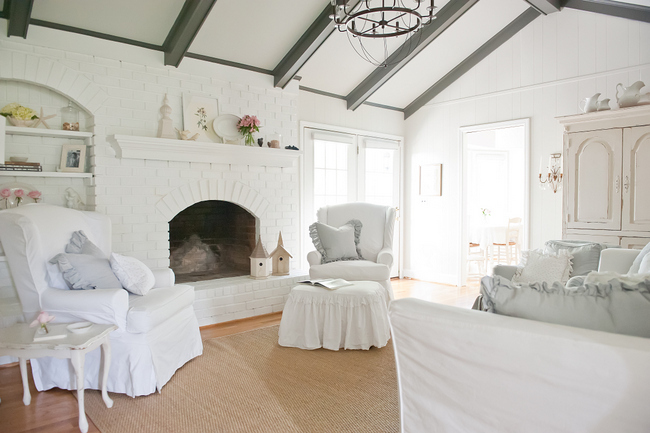 Especially when you have a fireplace – should you put it above, beside, somewhere else? 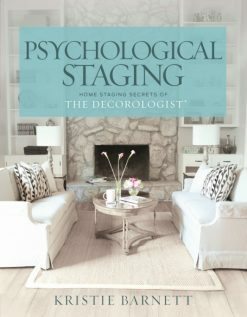 I provide ongoing mentoring and advice to the Expert Psychological Stagers who have taken my course over the last few years. We share info and advice via a private Facebook group. A few days ago, one of my graduates posted a great question. 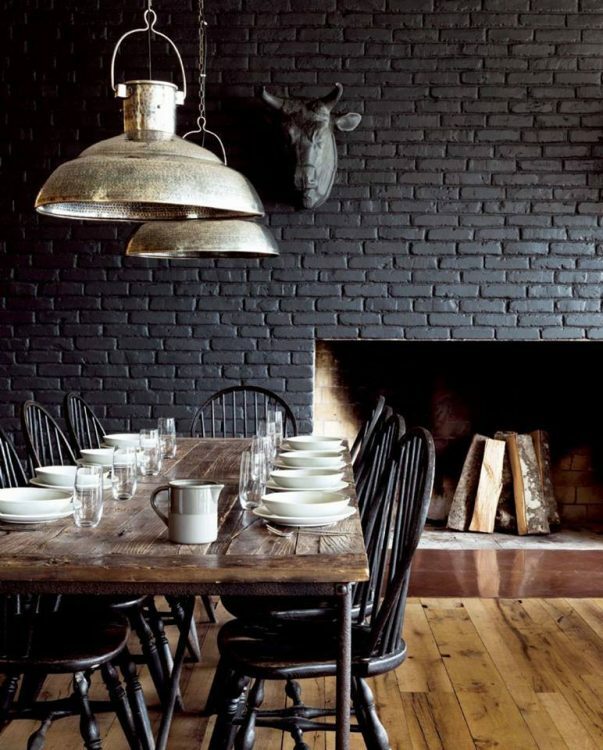 See how the dark paint puts the focus on the fireplace? A TV would blend right in, eliminating its obtrusive nature. Notice how the fireplace stands out, but the TV doesn’t. It’s important to keep as much focus on architectural details as possible. 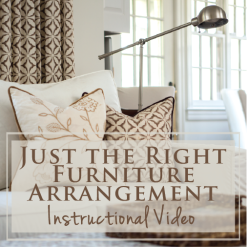 Tracie’s furniture placement ideas were spot on – that’s something we cover extensively in the EPS™ course. 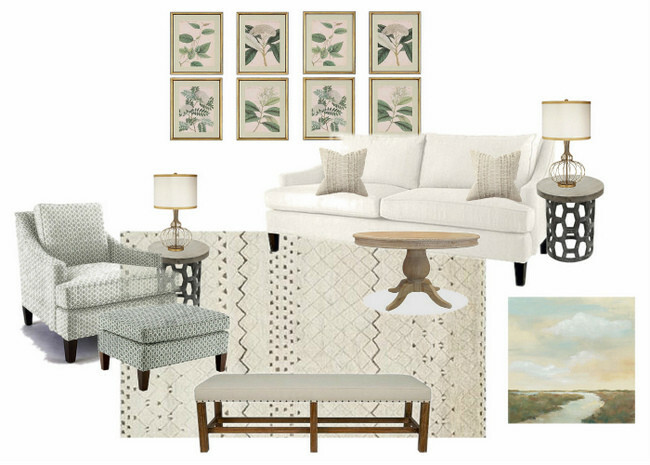 I put together this inspiration board to visualize where to put the TV in this space, and how to place the furniture. These cord covers keep cords under control and out of sight! A fabulous large piece of art over the fireplace will be important – I’d go big and vertical because the ceiling is vaulted. An iron lantern style light would be great, too. It’s not exactly the same layout, but here’s a recent project I’ve been working on. We had the beams and french doors painted Sherwin-Williams Iron Ore and installed an oversized lantern in the middle of the room. 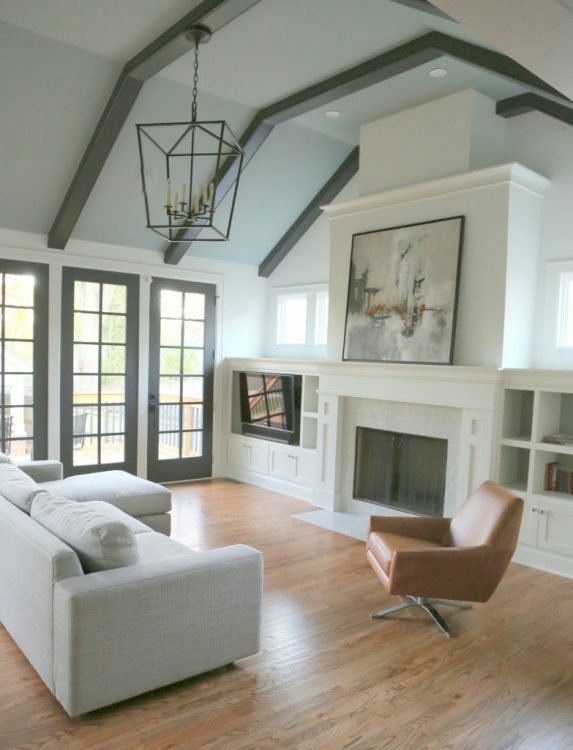 A great piece of art is the focal point on the large wall space above fireplace, while the television is tucked into the bookcase on a pivoting stand where it can be easily viewed. 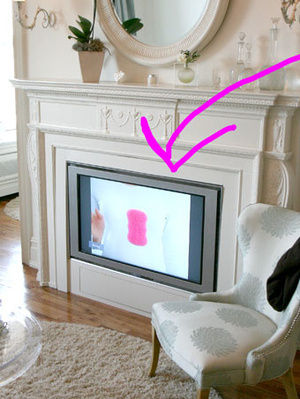 Have you found interesting solutions of where to put the TV? 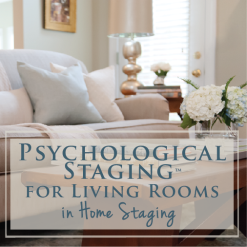 If you love creating and recreating spaces, maybe it’s time you sign up for the Expert Psychological Staging course – we’d love to have you! Find out more about our upcoming course here. This entry was posted in Design Intervention, Popular Posts, Psychological Staging and tagged arranging furniture, Brick, ceiling beams, decorating, decorating around a television, decorating ideas, eps, expert-psychological-stager, fireplace, furniture arrangement, iron ore, living room, mantle, painted beams, painted fireplace, rearranging furniture, sherwin williams, television, television placement, tv, tv placement, where to put the tv, wood beams. The hearth idea only works if you don’t want a fireplace. I like the second idea best, mainly because the TV, even cleverly concealed, over the mantle is too high for comfortable viewing. That rearrangement would also allow the Christmas tree to be placed in the window corner, which would look far more beautiful. I can’t stand a TV in our living room. We have a separate room (in our less than 1500 square foot house) set up for the TV. An unused bedroom works perfectly. Thanks for your input, Kay! Great ideas! 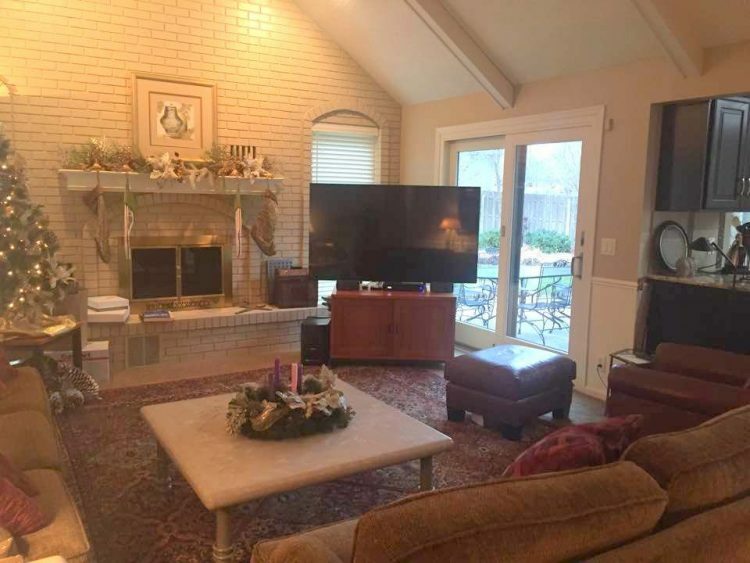 We have our TV set in the built-ins to the left of the fireplace, but we’re struggling about what to do with the vaulted wall above the fireplace. The surround is a gorgeous stainless steel, flush to the wall. 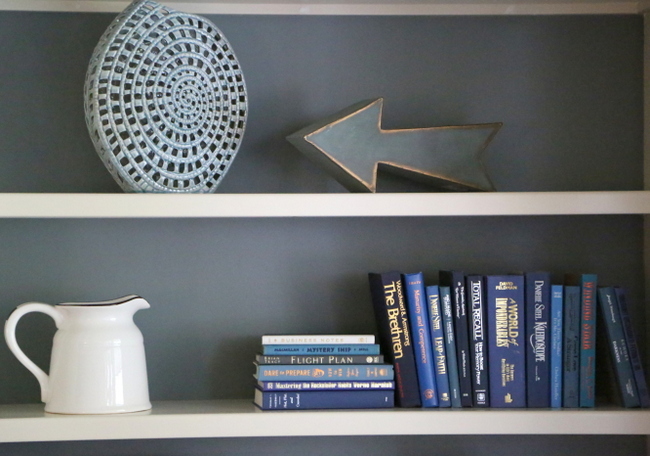 We keep going back and forth about what to do above – tile, paint with a large piece of art (the one there now is small and just a placeholder), mantel ? My husband keeps saying we should put the TV above the fireplace, and I keep resisting! In your situation, Lynn, I think I might do the tv above the fireplace and keep the firebox dark – either the color you have it or a charcoal color to minimize the tv. If you don’t want to do that, a fabulous vertical art piece will be a great focal point! My living room is a work in progress, but we put the TV on a wall away from the architectural focal point, the fireplace. When you walk in the room, you’re facing the fireplace, so the TV is less prominent. Also, the sofa faces the TV for comfortable viewing. 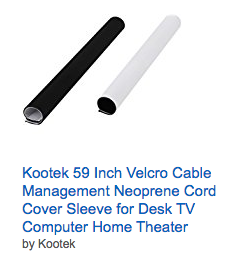 I intend to put more things on the wall to surround the TV and help it stand out less…and something under it, too, to hide that cord. 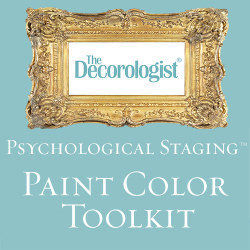 Paint colors specified by The Decorologist (except the hvac intake vent–forgot to tell the painter make it the wall color). Oh wow, thanks for sharing, Sarah! It’s great to see how your room is progressing 🙂 I would definitely do a credenza or buffet-type piece of furniture beneath the TV to ground it and camouflage cords. Looking good! This article alone has changed my mind about opening a new ( my own) FB account to jump back in to your FB page with all the other stagers. These ideas are great! I really love the variations and the number of choices it would give to present to a client! VERY HELPFUL POST! !! Thank you! Oh, yay! 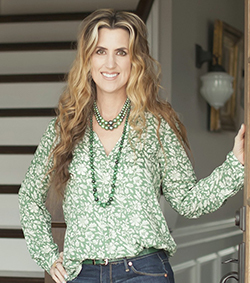 We’d love to have you back on the EPS support/advice page, Paula! I’m glad you enjoyed the article. Lynn, I think the TV would fit in well above that modern fireplace! Off to the side, it looks a bit off-balance. It’s not a huge TV, so you could put some smaller art above it to make it blend into that section. Thank you for your input to the conversation, Jean! It seems uncomfortable to me, too, but I think many people are watching that high TV from a recliner or a reclining sofa so it’s more like they are laying and looking up anyway! 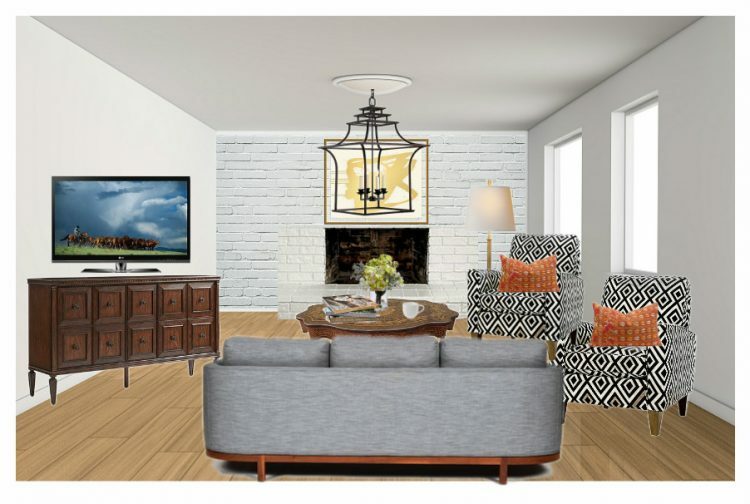 I prefer making the tv a secondary focal point, with the seating addressing the fireplace and the tv (like the inspiration board shows). Be careful about placing a tv across from windows. The glare off the windows will make viewing the tv very difficult. 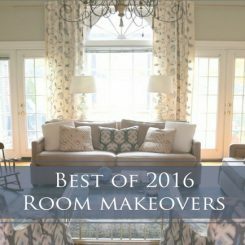 You’ll end up having to add window treatments just to make the room usable. I’d start to figure out the function of the room first – how many times a year does the homeowner use the fireplace? Does she like how the fireplace looks now? In my option, the hearth is really out of scale for the room and takes over. Thanks for the shout out Kristie!! Interesting…a problem that has been tormenting me for almost a year, as we plan our new home. The architect convinced me that over the fireplace would be fine. But it bugs me – too high, distracting, etc. finally this weekend my husband and I decided to nix the formal dining room and make it the tv room and save the fireplace for a quiet reading area. For us, the entertainment space outranks the formal dining space, but not a quiet fireplace space. Good input from your EPs group! Great post! 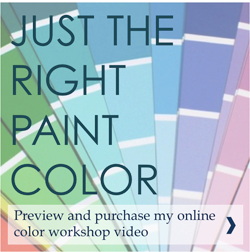 This confirms exactly what I was thinking of just last night…to paint the piece of furniture that my tv sits on so it will blend rather than stand out! Thanks for the color suggestion too. 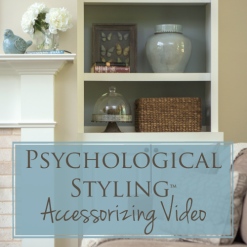 As a home stager, the very first question that is asked is….”Where would you put the tv? I usually create a space with a table and piece of artwork to create a visual as I am not a fan of tv’s over the fireplace either. That’s great, Roberta! I agree, you have to make it clear for buyers where that TV could go or else it plants a seed of uncertainty in their mind about the house. Here’s a crazy(?) idea: What if they put the TV against the back of the kitchen cabinet peninsula (on the far right in the photo)? It seems like that would address all the issues. One question — people ‘s remarks here lead me to believe that some of the comments include pictures, but I don’t see any pics. Any idea why that would be? Am I missing something?